Keith Jarrett’s output of extraordinary piano music has slowed in recent years, but ECM has kept the Jarrett titles coming by accessing previously unreleased older material. In 2016 the label issued the four-CD set A Multitude of Angels, solo performances from 1996. Now there is After the Fall, a trio concert from 1998, on two CDs. In a liner note Jarrett provides the backstory. Between 1996 and 1998 he was incapacitated by Chronic Fatigue Syndrome. By November of ’98, out of options and desperate to return to public performance, he scheduled a concert in Newark, N.J., near his home. He was far from certain he could pull it off. He decided “bebop might be the best idea” because it would not require him to “dig in” and “play as hard.” On first listen, tunes like “Scrapple From the Apple,” “Bouncin’ With Bud,” “Doxy” and “Autumn Leaves” sound quick as ever. But soon you perceive that Jarrett is holding himself in check, carefully managing his expenditure of energy. After the Fall might be compared to John Coltrane’s Ballads, where, because of embouchure problems, Coltrane was forced to play with restraint. Jarrett’s album has a similar sense of muted intensity, of distilled passion. Back in 1983 Jarrett burned through “The Masquerade Is Over.” In 1998 he meditates upon it, flowing for 16 minutes. Perhaps because he fears his creativity is in jeopardy he safeguards it, picking his moments. Ballads like “Old Folks” and “I’ll See You Again” place fewer demands on his energy but benefit from the fact that, even when (or especially when) he is conserving his strength, Jarrett can cast a deep spell with a ballad. Paul Desmond’s “Late Lament” unfolds from one repeated mesmerizing chord and becomes a rapt, hushed ceremony. A song Jarrett owns is “When I Fall in Love.” He often plays it as an encore. The version here is shorter and gentler and quieter than most. Jarrett draws out the melody and the emotion together, because they are inseparable, from keys he barely touches. On this night, the encore is a fragile, brave testament. 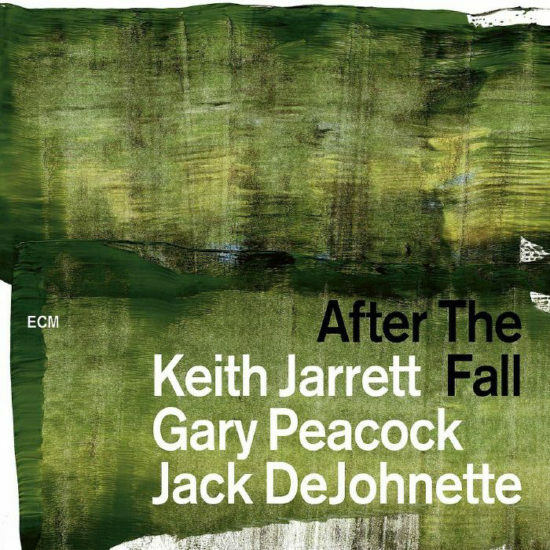 Preview, buy or download songs from the album After the Fall by Keith Jarrett on iTunes.